Joao was been training jiujitsu with his brother at Gracie Ilha in Rio and here at Victor’s academy in Atlantic Beach for a long, long time. 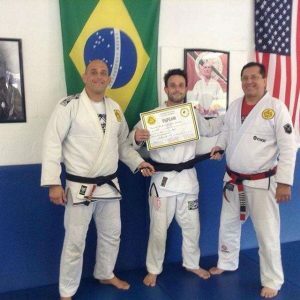 His hard work and persistence paid off when Rolker and Victor promoted Joao to black belt. Parabens, Joao!